No matter the theme or the agenda, events are live experiences that bring people together in a meaningful way. Attendees and corporate event planners measure success by creating a shared experience. So it may seem counter intuitive, then, to use virtual reality to connect with your attendees. After all, when the intent of an event is to create memorable, personal experiences, how does replicating reality add value? Introducing virtual reality to a massive event audience can actually foster relationships through the cultivation of a shared experience. Attendees become participants simply because virtual reality is engaging and enjoyable. And with the endless possibilities of virtual reality, you can explore how to improve the employee connection toward your brand in innovative ways. Virtual reality immerses users into a completely stimulated space. The user can view 360-degree coverage of any world that is created through technology in headgear and smartphones. Different virtual landscapes are built out to either imitate reality or fiction, depending on what kind of experience the user is looking for. People that were once impossible to meet and places that were once impossible to visit have become possible with VR technology. Some of the most relevant, exciting examples include everything from deep sea diving to taking a virtual tour of a prospective school, without ever having to leave home for the experience. Each user becomes a part of the intricate shift from reality to simulation, showing up in worlds they now have the ability to discover. It isn’t just individual users that are taking advantage of the possibilities of virtual reality; brands are slowly but surely investing into this technology and integrating it into their events. In 2015, the Dos Equis brand brought their character, “The Most Interesting Man in the World” to life in VR headsets and strategically tested it out at local events. Similarly, the Air Force Recruiting Service launched the Air Force Performing Lab where users could virtually test out their mechanical skills on planes. This virtual test became available in eight different locations as the event gained popularity and generated interest. 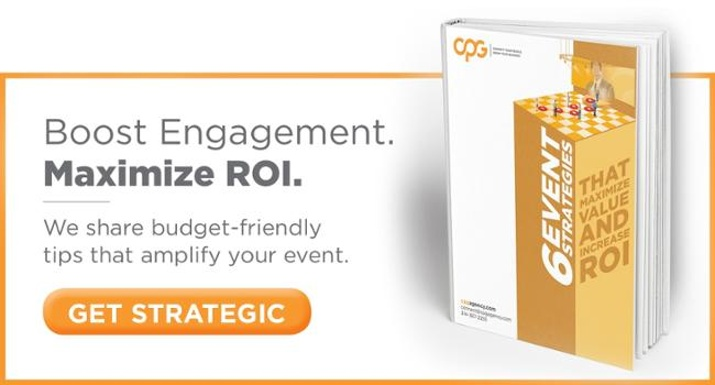 For many brands, it’s no longer enough to have interesting content at an event; your event content needs to be revealed in an inventive, intriguing way. Virtual reality offers event participants a fresh perspective on the content because it’s fully immersive and mentally stimulating. And as VR is a fairly new experience, the novelty doesn’t hurt either. In order for the corporate meeting or large event to be memorable and have an impact, it must be engaging. Virtual reality is a personalized experience that brings direct messaging to each individual user. This personalized messaging should impact your shared goals as brand and employee. Through this new lens, your people can be virtually transported to a completely different space, and they begin to use all of their senses to make new discoveries. Increased engagement allows for a greater connection between participants and the brand itself. VR also gives your participants a chance to become a part of the event’s journey. Whether it means working together to complete virtual tasks or discussing how the virtual interactions captured their interest, they end up contributing to a positive event atmosphere. Beginning as attendees, by the end they are forging connections with the messaging and their fellow participants through a shared experience. Truly aligned brand advocates can be shaped here at these events, all because the use of VR included your people in the moment and captivated their attention beyond their expectations. Incorporating virtual reality into your next big event breaks a traditional mold and delivers the engagement you want in an innovative manner. Using VR to create a shared experience is a technologically savvy way to tell your story to the people who matter the most at your event: your participants.